Sports Injuries can be both painful and hard to overcome. 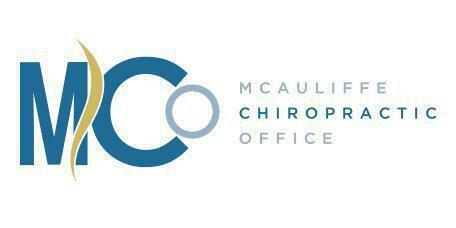 Let the doctors at McAuliffe Chiropractic Office help. We specialize in helping athletes of all types with their sports-related injuries right here in our Laurel, MD office. What Types of Sports Injury Can Chiropractic Treat? Chiropractic care can help the body heal after even the most serious of sports injuries. Whether you are suffering from knee injuries, tendinitis, ligament damage, sprains or muscle strains, the team here at McAuliffe Chiropractic can help you get the relief you need and get you on the road back to recovery. Whether you have hurt yourself while working out, or simply suffered from a fall, our team of doctors is here to help. What Are the Indicators of Sports Injury? The most obvious indicator that a sports injury may be present is pain concentrated in a specific area, such as the knee or ankle. It is also common for people with sports injuries to experience swelling, inflammation, and muscle spasms. The injured area may also feel warm to the touch or be slightly redder than the rest of the skin. If you feel as though you have suffered a sports injury, call us right away for more information. The faster you are able to get the care you need, the quicker you can recover, heal and get back to doing what you love. Can Sports Injury Be Treated at Home With RICE? RICE (Rest, Ice, Compression, and Elevation) can be very helpful for the first days following an injury. When a person is suffering from pain, swelling, or other sports injury symptoms, RICE can help lower inflammation and swelling and alleviate some of the pain. If you experience pain or other symptoms after 24-48 hours, you should see a doctor that specializes in sports injuries right away. Our team of doctors can help determine the true origin of your injury and can help create a natural, non-invasive treatment plan that will encourage your body to help heal itself.